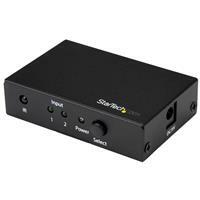 This 2-port HDMI switch lets you share an HDMI 2.0 display or projector with two HDMI 2.0 video sources. The switch features two independent video inputs that can each support 4K resolution at 60Hz, making it the perfect solution for connecting two video sources to a display that has a limited number of HDMI 2.0 ports. 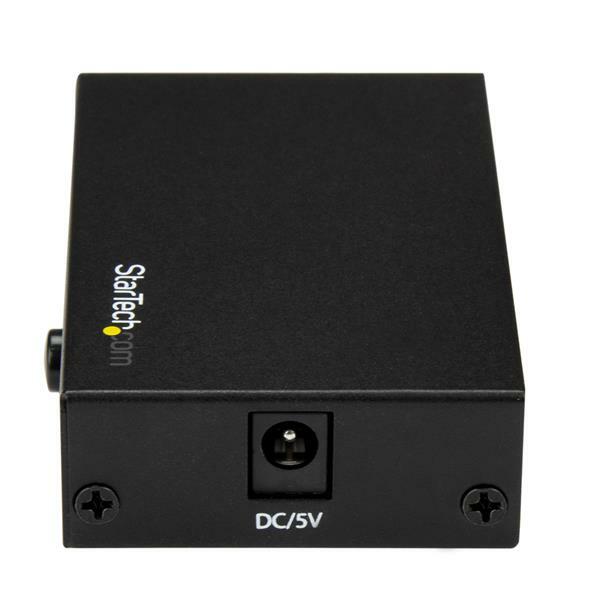 This HDMI switch lets you harness the High Dynamic Range (HDR) capability of your HDMI 2.0 video sources and deliver it to your UHD 4K60 display. Unlike many 4K switches that only support a 30Hz refresh rate, this switch works with HDMI 2.0 displays with output resolutions of up to 3840 x 2160p at 60Hz. Don't be fooled by a clever spin on old technology. Many HDMI switches support 4K but will only work at a 30Hz refresh rate, or claim support for 60Hz but heavily compress their signal to a lower 4:2:0 chroma subsampling in order to work at inferior bitrates. 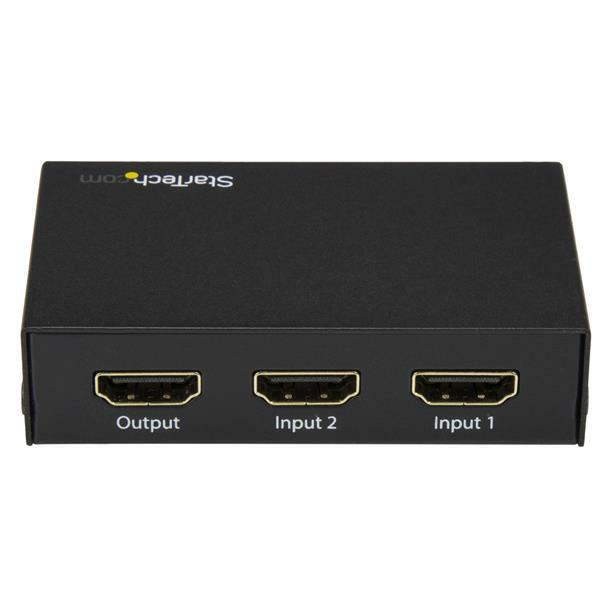 This 4K 60Hz HDMI switch uses the latest components to offer full support for your HDMI 2.0 equipment, supporting true 4K resolution at 60Hz with 4:4:4 chroma subsampling. Support for HDMI 2.0 devices means this switch can transmit bandwidth up to 18Gbps, making it an ideal video solution for high-resolution computer tasks. 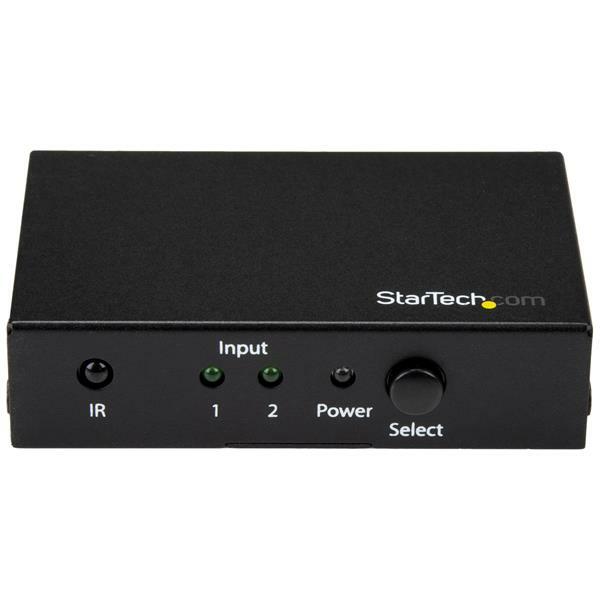 The HDCP 2.2 HDMI switch is backward compatible with 4K 30Hz and 1080p displays, which ensures that it will work with lower resolution displays such as TVs or projectors around your site or in your digital signage application. This switch ensures effortless operation with automatic switching that detects and selects a newly connected device, perfect for automatically switching to a 4K media player such as a 4K UHD Blu-ray™ player as soon as it's switched on. In your classroom or office boardroom, the automatic switch makes it easy to share your projector between multiple sources, which encourages on-the-fly collaboration among colleagues. 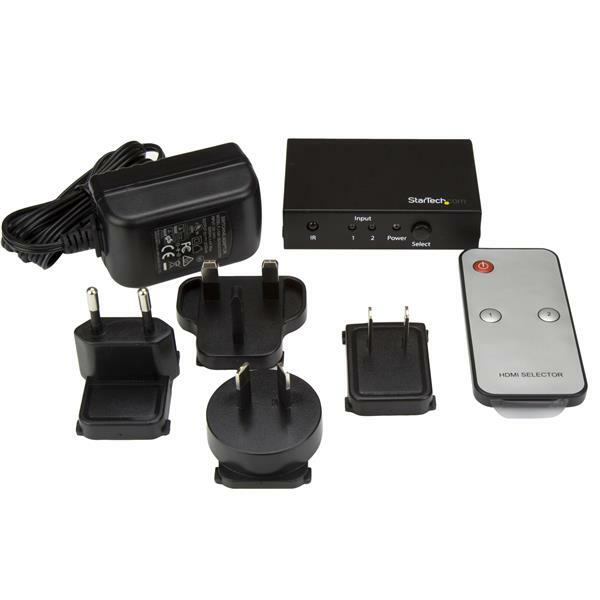 The HDMI switch also supports manual operation, using the included IR remote control or the built-in front panel toggle switch. The VS221HD20 is backed by a 2-year StarTech.com warranty and free lifetime technical support. Why are my displays going into standby? Turning off one video source, such as a Blu-Ray player, may cause all displays on the output ports to enter standby mode. This is a feature of Consumer Electronics Control (CEC) and to avoid this behavior you will need to disable CEC on the video source.